On paper, the Twins look like a vastly improved, competitive team. In reality, I’m happy to report that they appear to be just as good after they beat the Cleveland Indians 9-3 on Sunday. 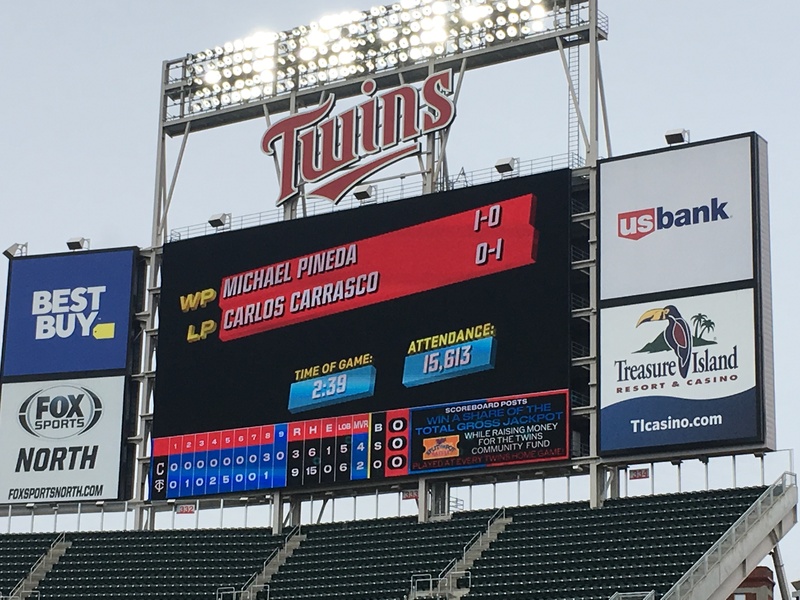 After Jose Berrios and Jake Odorizzi pitched well in the first two games of the series, Michael Pineda continued the streak by striking out five over four innings. He stepped aside for Martin Perez, but that was by design, according to MLB.com. For (Twins manager Rocco) Baldelli, the long-term goal of keeping Perez on rhythm as a starter took precedence in his decision, and both Pineda and Perez had been aware of the plan since Spring Training. Perez pitched well, too. Although he served up three earned runs, he struck out six in three-plus innings. Meanwhile, the offense, kept in check the first two games of the series, exploded for nine runs on 15 hits. 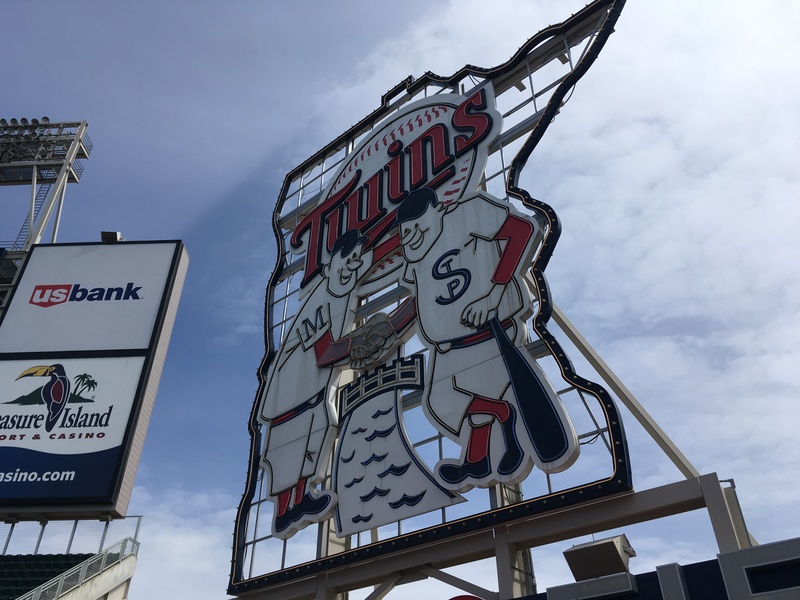 Nelson Cruz hit his first home run as a Twin, and had three hits overall, but Byron Buxton and Willians Astudillo stole the show. Buxton had two hits, including a screaming, line drive double off the left field wall. Astudillo, who really is a fan favorite based on the number of times I heard his nickname, La Tortuga (the turtle) mentioned, hit back-to-back doubles in almost the same spot. Jorge Polanco, C.J. Cron and Jonathan Schoop also had two hits apiece. After the series win over the Tribe, the Twins now hit the road for Kansas City. Jose Berrios gets the ball on Tuesday. -We had great seats for Sunday’s game. 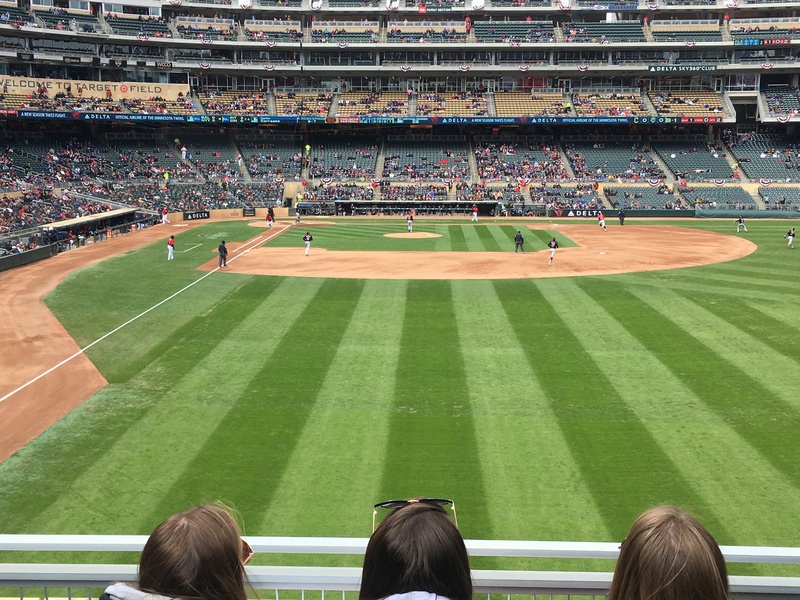 After suffering in the shade and wind during last year’s home opener, I vowed to find seats in the sun, so we sat in the “limestone seats” in right field. Although it was cold at 34 degrees, the sunshine made it bearable. I also avoided beer this time and stuck to hot chocolate. -Local CBS affiliate, WCCO, reported Saturday that snow was in the forecast for Sunday. Luckily, those snow flurries didn’t show up until after the game. 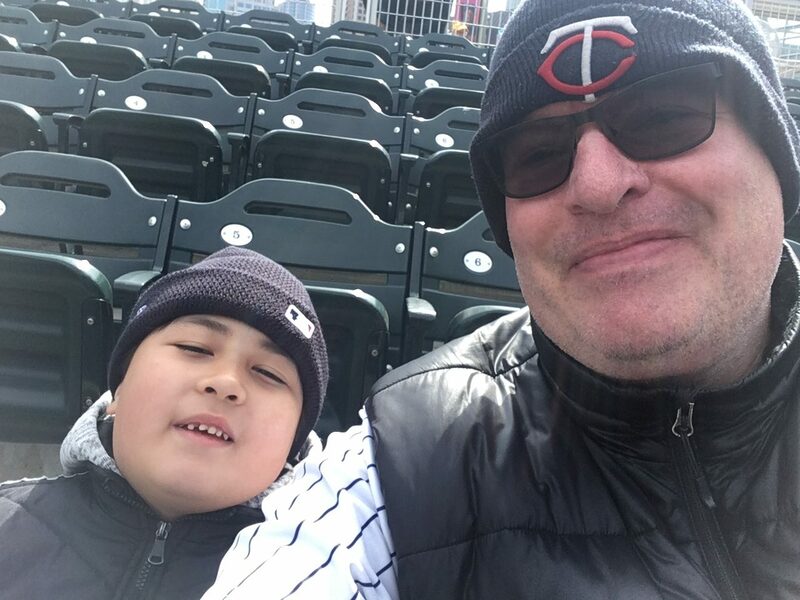 -Before the start of Sunday’s game, the Twins announced that ex-Twin, Jim Holt, has died. Holt played seven seasons for the Twins in the late 60s and early 70s.